A degreed & practicing Mechanical Engineer for 35 years at General Motors, involved in engine development including the Quad 4, Ecotech 4 & Vortec In-Line 6. 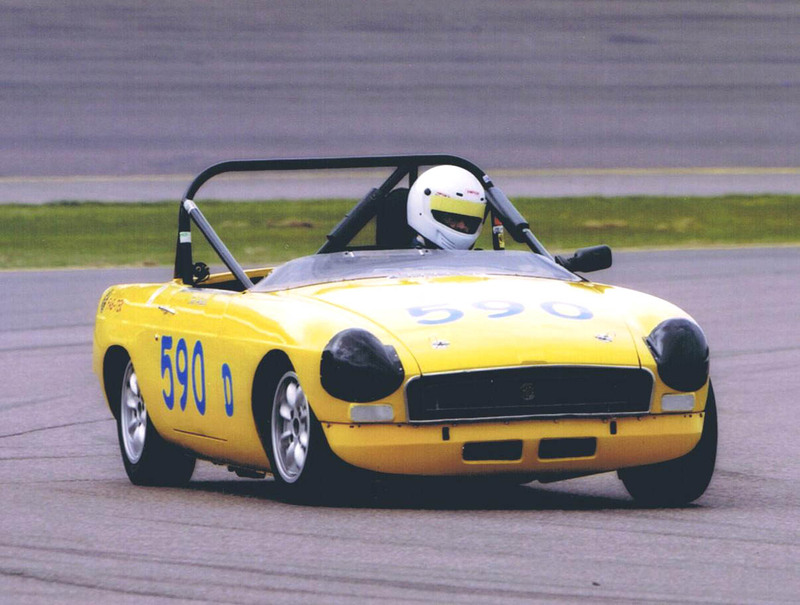 Racing in SCCA since 1965, mostly with E-Production MGB's, but also ran Brabham & Brabota Sports Racers. He was the 1990 SCCA National Champion with a Show Room Stock Quad-4 powered Oldsmobile Calais. about race car handling & traction. Watch for additional tech articles. 2005 Mitty MG/Truimph Challenge race at Road Atlanta. 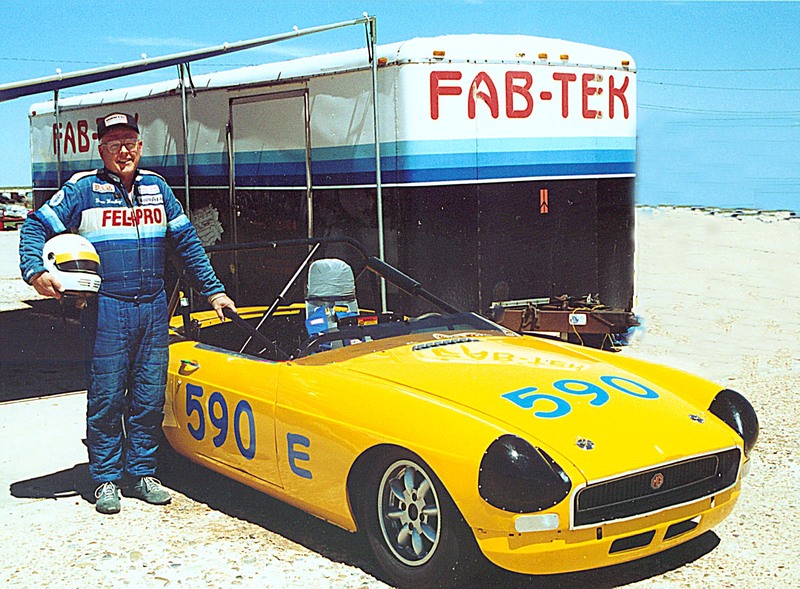 "Clever Engineering: Dave Headley's MGB"
& is now raced by Butch McKenzie. 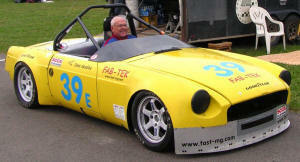 Dave in his SCCA MGB. It's been sold! Thanks for visiting our web site. Go FAST & have a great day!